Take the guesswork out of building a project plan by using historical knowledge and expert opinion to drive schedule and cost realism. Deliver realistic project plans quickly by using artificial intelligence that provides smart suggestions based on your organization’s historical project knowledge and human intelligence to easily validate project plans through team member feedback. We’ve historically had a significant disconnect between our schedules and the task listing our team in the field uses to execute their daily tasks. Even worse, those daily task listings may differ significantly from the expectations, objectives and dates in the schedule. We had no way of knowing if the task listing used in the field supported the schedule. Using InEight Basis to develop our short interval plans or ‘30-day lookaheads’ ensures alignment between the two, and when there is a disconnect, our planning and field teams are immediately aware. 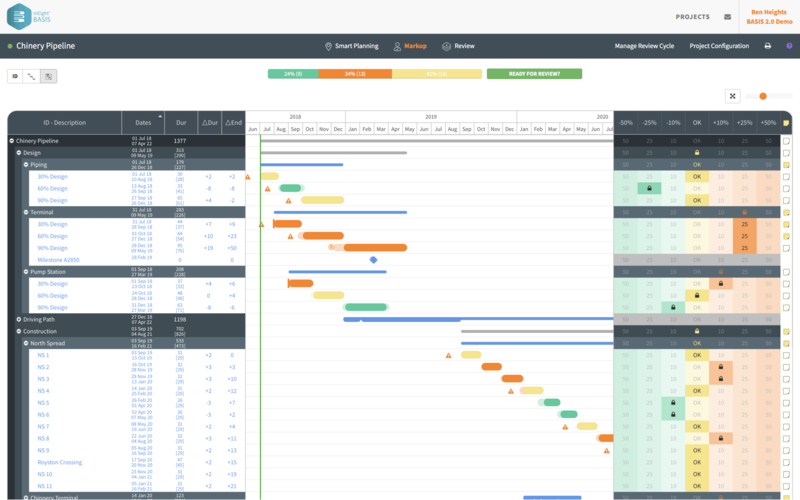 With the advancements made in CPM tools, practically anyone can build a schedule. The problem lies in the fact that there is so much more to planning than simply building out a schedule. Until InEight Basis, we lacked the means to utilize our historical project knowledge. Our schedulers would have to search through archives of old schedules to try and find what they need, and often times, that information was not available or simply lost. With InEight Basis, we not only formalized how we capture and retain our history, but we can make effective use of that knowledge with every new project plan. 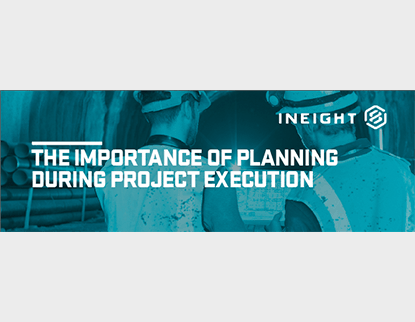 This white paper discusses how continued planning, even during project execution, can overcome some of the limitations of traditional scheduling techniques. Tied to this, the topic of Short-Interval Planning is discussed in detail.